HomeGroceryStur® Coconut & Pineapple 6 Pack – 20 servings in each bottle. Multipack saving of £2.95. Makes over 24 litres of drink. All Natural Stevia Water Enhancer. The new alternative to Squash, Fruit Juice and Coconut. High in Vitamin C. No sugar. No-added Sugar. Zero Sugar. Zero Calories. Contains natural Stevia Sweetener. Healthy alternative to Kool Aid, Capri Sun & Bolero. Helps to stay hydrated during Sports and Fitness. Perfect for tap water, bottled still water, sparking water or Sodastream. Stur® Coconut & Pineapple 6 Pack – 20 servings in each bottle. Multipack saving of £2.95. Makes over 24 litres of drink. All Natural Stevia Water Enhancer. The new alternative to Squash, Fruit Juice and Coconut. High in Vitamin C. No sugar. No-added Sugar. Zero Sugar. Zero Calories. Contains natural Stevia Sweetener. Healthy alternative to Kool Aid, Capri Sun & Bolero. Helps to stay hydrated during Sports and Fitness. Perfect for tap water, bottled still water, sparking water or Sodastream. Stur is a natural fruit flavour water booster that is lightly sweetened with Stevia leaf extract. It has 0 sugar, 0 calories, and 100% of your daily requirement for Vitamin C. Vitamin C may help to maintain a healthy immune system and helps to avoid tiredness and fatigue. 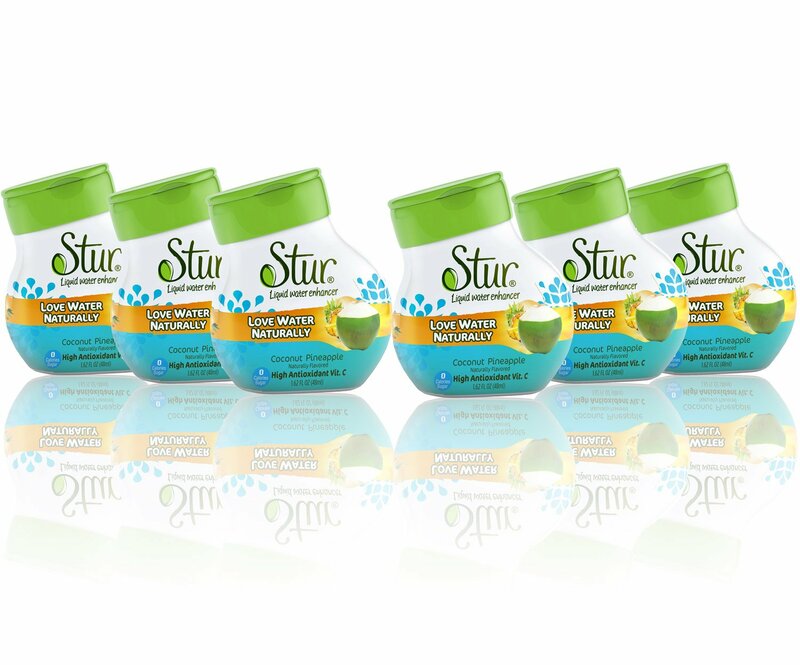 Available in several flavours, Stur helps people drink more water, by adding as little or as much flavour as they want. Stur is a family-run company, passionate about better health. Our mission is to help millions drink more water, and we’re really proud of developing a good-tasting product without any artificial sweeteners, flavours or colours.